One-pot dishes are simply the easiest way to eat well. Healthy and nutritious, they can be prepared with minimal fuss and dishwashing. 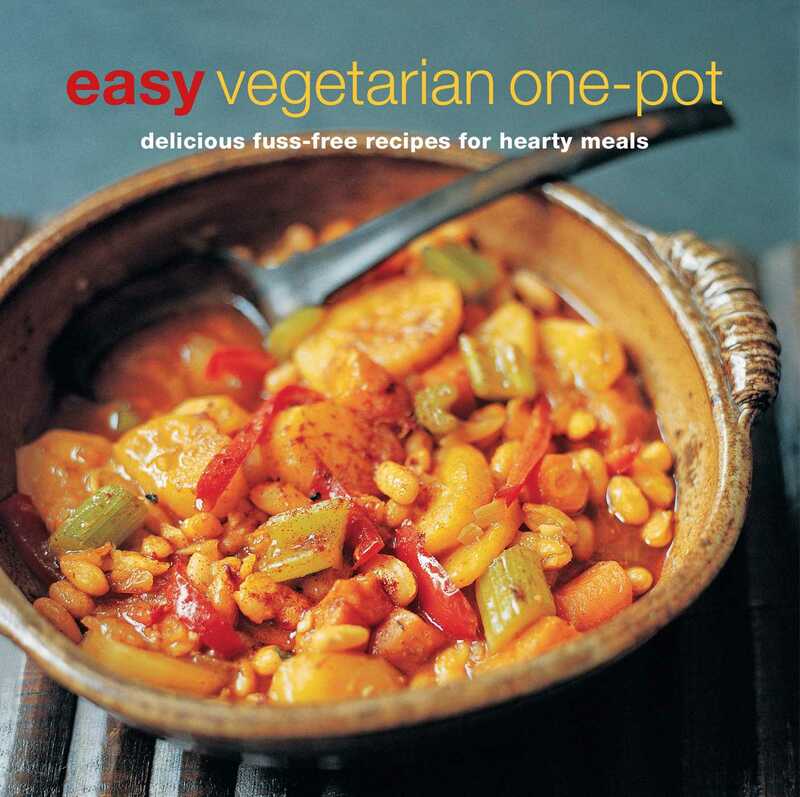 In Easy Vegetarian One-pot, you will find an enormous selection of some of the best meat-free one-pot recipes. Lighter meals include Soups and Salads—try a Spicy Pinto Bean Soup with Sour Cream to fill the family on a cold day—and quick and satisfying Omelets and Frittatas, such as a fresh-tasting Minted Zucchini Frittata. Pasta is also an easy one-pot dish, so choose between a classic Puttanesca or an original combination such as Pasta with Potatoes and Macadamia Pesto. Noodles and Stir-fries can be prepared quick in a snip, while satisfying Casseroles and Stews, such as a delicious Greek Summer Stew with Lemon and Olives, are easy to prepare but benefit from slow cooking. Bakes and Gratins are great for entertaining—serve a warming Baked Spinach Mornay to delight friends and family—while Rice and Grains includes delicious recipes for risottos and pilaus, amongst others. Finally, Curries, and Tagines are dishes that are packed full of flavor, such as the warmly spiced Thai Red Pumpkin Curry or Three Bell Pepper Tagine with Eggs. Whatever your taste, there is something to delight in this appealing collection.